Hey You! Yes you. The one reading this. 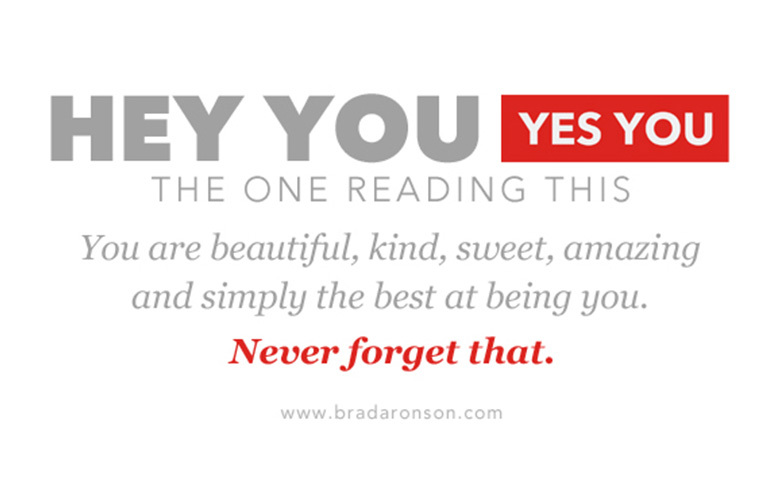 You are beautiful, kind, sweet, amazing and simply the best at being you. Never forget that.